When Vulture blocks, deal 1 damage to each attacking character die. [Once per turn] when any character die leaves the Field Zone, Vulture gets +4A until end of turn. Vulture: Adrian Toomes's ability to gain +4A can only happen once per turn. 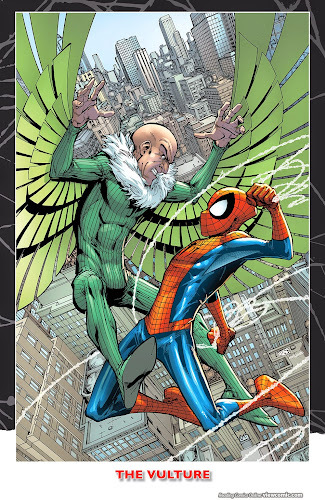 Vulture: Adrian Toomes's ability would be activated by a die leaving the field, including effects such as Polymorph and Iceman: Too Cool for Words' Global Ability that can turn fielded Sidekicks into Bolt energy, moving the affect dice to the Reserve Pool. ^ Vulture + Iceman. Wizkids Rules Form. Retrieved 2.4.2016.